and then about the heat. As long as it’s not the yellow kind. Snow is another reason to be lazy. it’s time to be lazy for a reason. So why don’t we enjoy snow more? WARNING: This story contains mature themes. ​ He has known for a while that it was at the end of its lifespan. He doesn’t understand the mechanics of a toaster, but he does know that if a bagel comes out completely burned after only toasting for two minutes then something is wrong. His roommate thinks it’s fine. It’s not fine. He can’t live like this. “I can’t live like this,” he thinks to himself one morning, and that is how he finds himself walking down the street with a toaster under his arm. 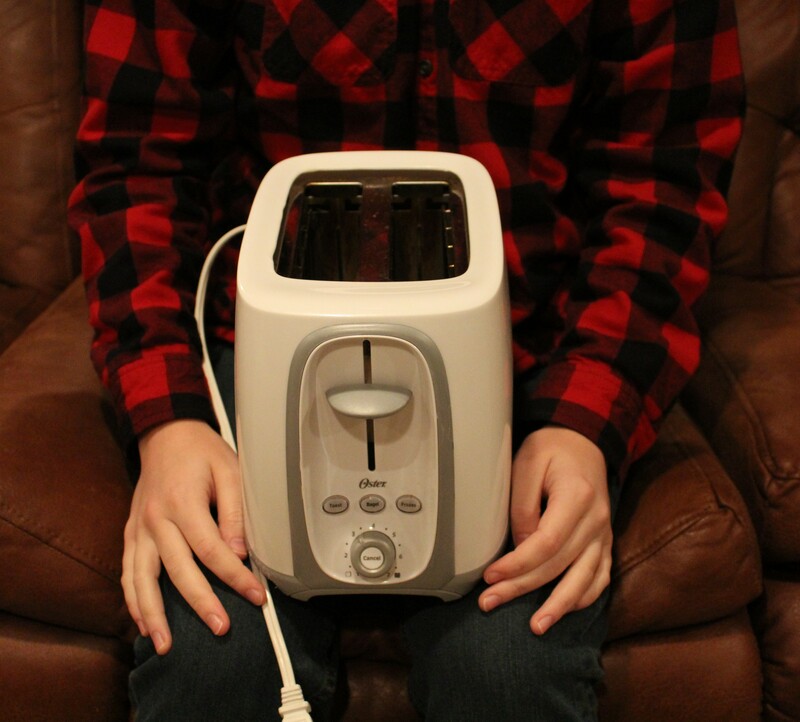 “Hey Shanna do you want a toaster,” he texts a friend. He arrives at her house. Amber bottles litter the front yard. Shanna is sitting on the porch couch, a blanket wrapped around her head and body, Winnie the Pooh sunglasses on her face. He sits down next to her. She eyes the toaster. “Why are you wearing Winnie the Pooh sunglasses?” He deadpans. A shout and a curse comes from the inside of the house. A girl comes stumbling through the front door, pulling her pants up her legs. Shanna and him stare at her as she struggles to put her shoes on. She lets out a frustrated sigh, deciding to forgo the shoes. She notices the silent figures watching her as she’s digging her keys out of a tight pocket. She nods to them. Stephanie looks at the toaster on Xander’s lap. She opens her mouth, pauses, then closes it, shaking her head. “I don’t even want to know.” She walks to her car and drives away. The windows are open but the smell of smoke still permeates through the house. Xander coughs as he sets the toaster on the kitchen table, which is covered in cigarette butts and more empty bottles. A shattered ash tray rests peacefully on the floor. He bends over, carefully picks up the ceramic pieces, and tosses them into the garbage can under the sink. They clink against something as they land. An empty bottle of Fireball. He hears shuffling feet and looks up. It’s Shanna. The blanket - which he now notices is a nauseous pink and green - still shrouds her body. The glasses are off. Her eyes look horrid, a clash of red and blue. “Did you drink a whole bottle of Fireball?” he asks. Shanna points up. “In my room. It’s warmer in there so she can sleep better,” she adds. He didn’t even know if Rockefeller played golf. Jules was the reason he met Shanna - freshman year of college the two girls were roommates. Then more. They all graduated, more or less. Life got busy. Shanna is an event planner now - go figure. He does programming out of his house for some decently large companies. Benji is still trying to figure some stuff out. Jules on the other hand spent three years in India right after graduating. She just got back a few weeks ago. He’ll have to ask her how it was. He has never travelled, himself. Only left Wisconsin once to go visit his mother’s aunt, but that was it. He’s a fidgeter - has been since middle school. Messed up his golf swings sometimes. Shanna slowly sits up, gripping her head and frowning as she does so. She shuffles over to the fridge, taking tiny steps like a ninety year old that’s scared to fall just from walking a few feet. Xander is right behind her, and peers over her shoulder when she opens the fridge. Jerry’s Root Beer. One of the only sodas with a cap that you can’t twist off. “Bottle opener. Left drawer,” Shanna says. Shanna jumps and Xander almost keels over. It’s just Jules, though. She’s standing in the doorway to the kitchen, her arms casually crossed. There’s ink there that Xander has never seen before. “It better not involve slamming the head of the bottle against the counter to make the cap pop off,” Shanna says. He wraps both his hands around the fat part of the bottle. Jules brings her knees up to her chest and places her socked feet on Xander’s forearms. Xander swears that if Shanna’s eyebrows could go any higher they would disappear into her hairline. “Jules, oh my god, that isn’t going to work,” Shanna exclaims. Jules kicks, both feet connecting with Xander’s forearms, just as a flash streaks through the windows, lighting up the whole room as thunder cracks across the sky. The bottle cap goes flying, along with half the contents of the bottle. The lights go out. “Holy crap!” Jules yells, scooting back on the counter so the soda doesn’t spill on her. “Jules!” Shanna groans as the already grime covered floor gets even dirtier. “I don’t consider the power going out to be a positive omen,” Shanna says. “Holy crap, holy CRAP,” is all Benji says. “First the toaster goes missing, and then a freaking tree comes through the ceiling! Holy crap!” Benji yells. Xander starts heading for the door. Jules and Shanna follow him, confused. The soda is forgotten. “Okay. Okay. See you in a bit.” Benji hangs up. Xander signs, putting his phone in his pocket. “A tree - it must’ve been struck by lightning - just made a hole in our house,” he answers. “I really don’t know,” he says. “I can hardly see how a tree crashing into their house is a good thing,” Shanna mutters. As he walks home, rain soaking down into his bones, he realizes that he has never seen Jules that exuberant before. Ever. Damn. He wishes he knew what happened in India.